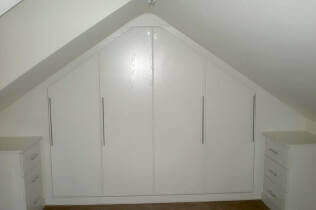 We can build bespoke home office furniture, made to measure for your specific space. 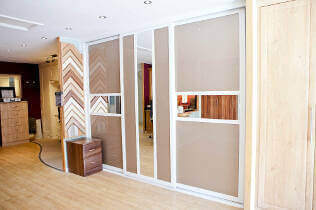 We are experts in making use of the space you have, regardless of size or shape. 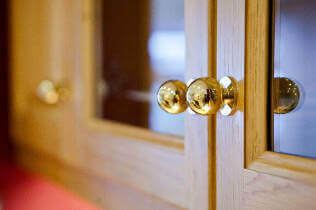 Our furniture is crafted in our on-site West Wickham workshop and is truly bespoke – we make it ourselves, so can adapt everything to meet your needs, down to the very last detail. Many large furniture companies will outsource fitting work to sub contractors. Not us. The people who design, plan and fit your study furniture work for us, so we are fully accountable for quality. We will create initial designs and project manage from beginning to end, making sure the whole process runs smoothly. Your new study or home office is in safe hands with us. Our designers are adept at making the best use of your space. 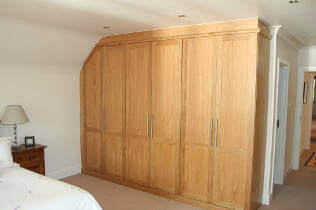 Studies of all sizes can be customised with our fully bespoke furniture, which is made especially to suit your specific room. Make better use of the space you have available and create clever storage options. Choose the aesthetic and ambience you want to aid concentration in your office. 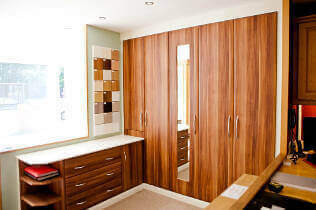 Our fitters are all highly skilled and assemble furniture on site, making any adjustments necessary to achieve a perfect fit. Our service is fully managed from beginning to end, so you always know how your project is progressing. Someone will be on hand to answer any questions. 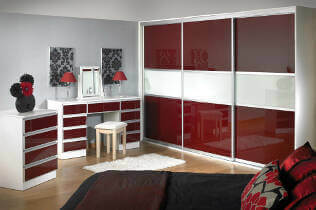 Our ranges can be completely customised to suit your particular study. Browse through to find a look you like, from the traditional through to the contemporary. See how we can transform your home office. Arrange your free, no obligation design appointment.